For those who do not know me, I am Oscar Ruiz and was born in Barcelona on a spring day back in 1971. I have been taking pictures almost all my life. 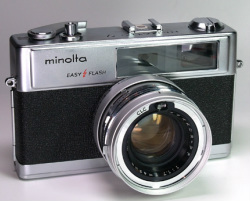 As so many other people, I started with my dad's camera, a 1966 Minolta Hi-Matic 9. I took the first steps by trying out with the depth of field and the movement. That was back in the seventies or eighties, so far a period from our digital era. In the mid eighties, I got really devoted to photography: I would take both black-and-white and colour pictures and I started to develop them myself in my own lab (a small room at my granparents', set up to that end), where I spent hours and hours almost every weekend. I learned most of what I know through self-study. I visited lots of libraries and specialised bookshops. I attended some workshops at the Català Roca Civic Centre, when it was no more than a small homely place, before moving to the Golferich House. It was then that I had the chance to meet some of the most outstanding photographers in the country such as Oriol Maspons, Xavier Miserachs or Francesc Català himself. Thus, in 1998 I enrolled at the Institut d'Estudis Fotogràfics de Catalunya (IEFC), where I studied Photography for four years. During my second year there, I started teaching at some institutions and associations in Barcelona. It was also at that time that I began with my photographic work, either or together with some colleagues from the Institut (weddings, portraits, fashion, etc.). And this is what I have been doing for the last 15 years: both teaching Photography at the IEFC (where I was lucky enough to end up working) and also in cultural centres and others institutions in Barcelona.